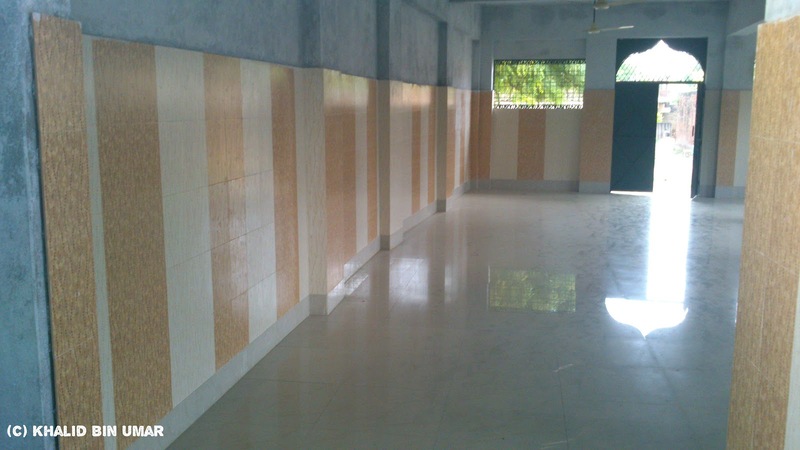 SHAHA is the name of village in revenue records that is known as Peepalgaon. 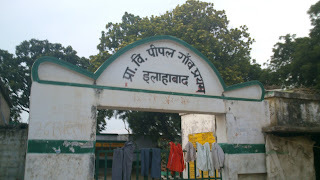 Shaha Urf Peepal Gaon has been a reputed village of Pargana Chail in Allahabad. It is located just few kms away to the north-west of the present Allahabad. 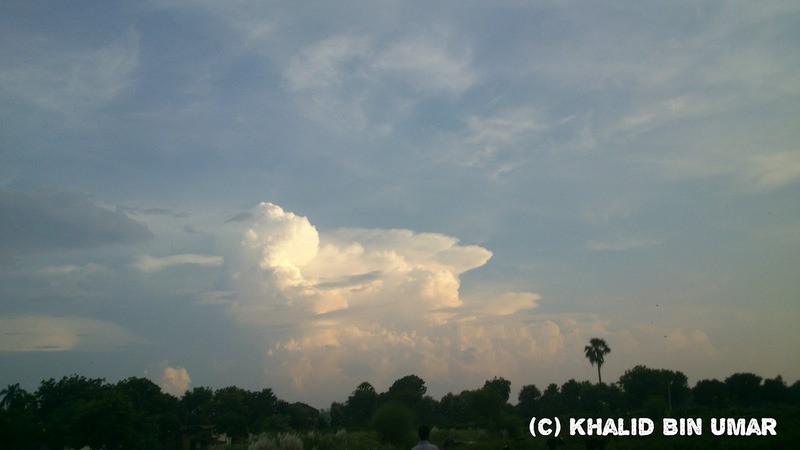 Today it falls under the in Kaurihar Block in Allahabad District. 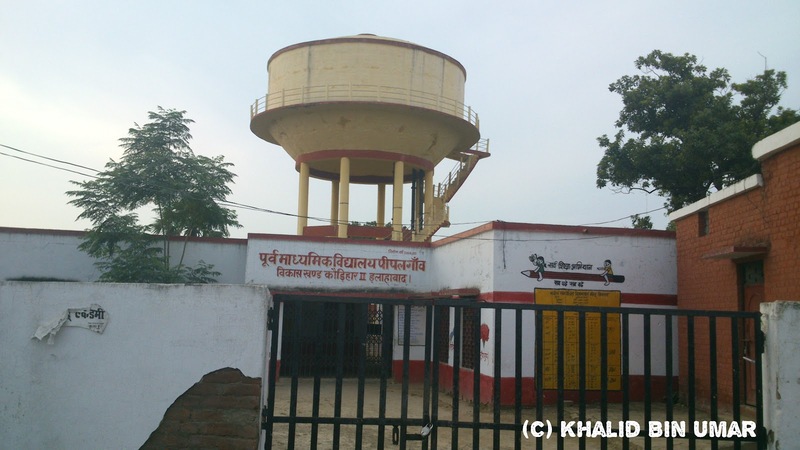 The village is just about 8 kms away from the district headquarters of Allahabad and is at a distance of 177 km from the provincial capital Lucknow. The near-by villages are Jhalwa , Bhaderpur, Katahula Ghauspur , Asrawe Kalan, Jalalpur Ghosi, Bajaha, Shahpur and since Pipalgaon has been covered under the ADA Scheme. 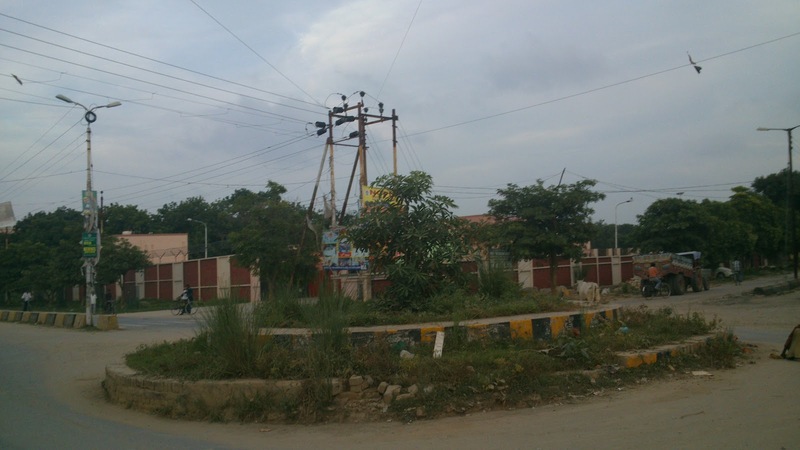 It is now neighbor to several urban colonies like Kalindipuram, Arya Nagar, IIIT Colony, Dev Prayag Colony etc. 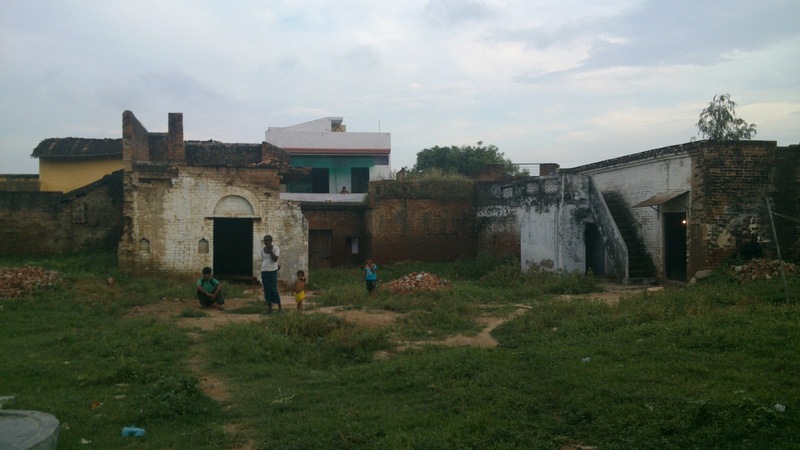 The population of this village in 1951 was 2066 while in 2001 it rose to 5858 whereas in the 2011 census it is recorded to be 6958 persons. 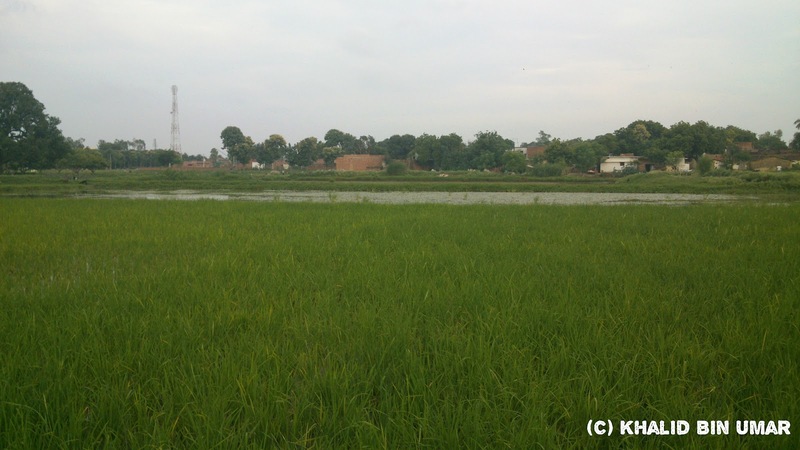 Apart from being a prinicpal Zamindari village , the location of the village was at the intersection of several roads that lead to a large no of remote villages of the Pargana. Due to this importance the British installed a police outpost here about 120 years ago. It is reported that hundreds of years ago there was a horrifying forest in & around this area that was full of antelopes, deer and other wild animals. 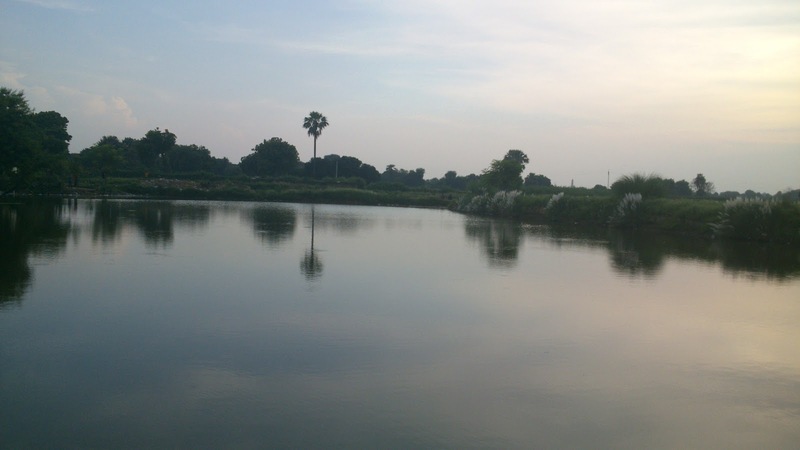 Nearby flew the river Sasur Khaderi and in its ravines lived the criminals and bandits. It is further reported that Jahangir, who lived in Allahabad for years as a Prince, frequently resorted to this area which can broadly be marked from Madaripur till Katahula and Rahimabad for leisure and hunting purposes. Jungles were cut and halts were made for the prince and his team of hunters. 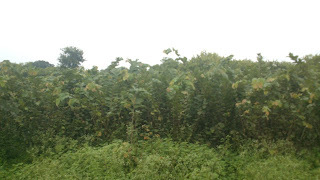 The area of Pipal Gaon was full of Peepal Trees and it was dreadful to travel even during day time. 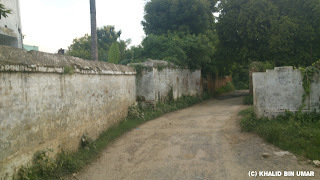 There was a single way ( Kachcha Raasta ) that went past Peepal Gaon to the interior villages e.g. 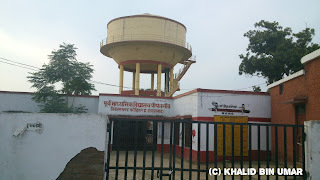 Ghosi , makanpur , katahula etc. After the jungles were cut and the area was made available for farming. 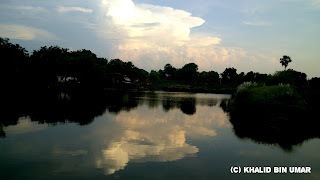 This area came under the ownership of Chaudharis of Bamhrauli about 300 years ago. 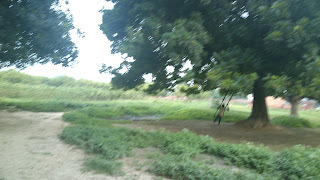 Thereafter the village Peepalgaon went in to the ownership of a son-in-law of the Chaudhari family that we do not know as to which village that (Son-in-Law) belonged to. However the family owned entire village and was famous as the Chaudharis. 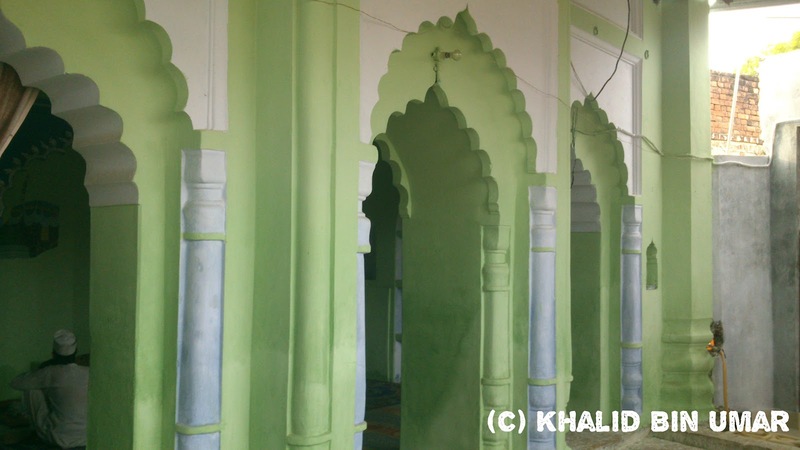 Thereafter around 1775-1810 AD a branch of the Hashmi family of Bamhrauli migrated to Peepalgaon to look after the property that were remote and difficult to look after from Bamhrauli. 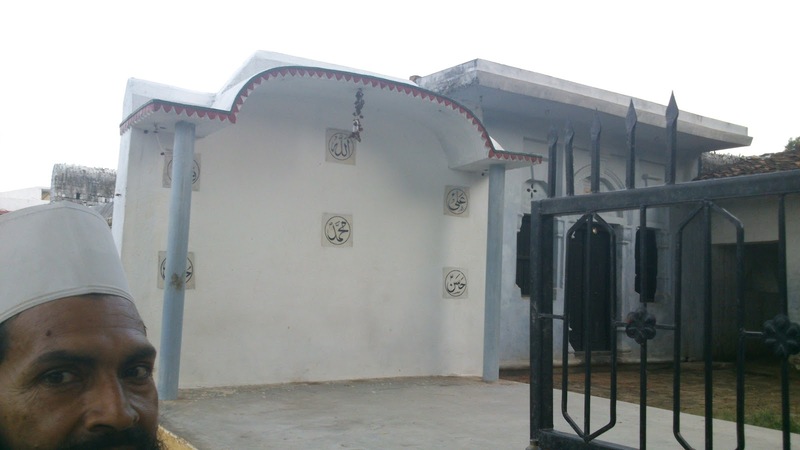 This family’s entrance to this village marks the emergence of Peepalgaon as an icon amongst the Chail Zamindar fraternity. There were two original families and two migrant families that resided in Peepalgaon 100 years ago. 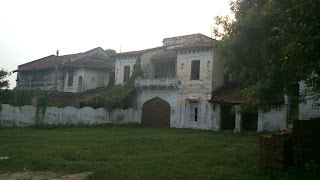 The first family was of Chaudharis (origin unclear to us today but certainly from the Ashraaf class) who lived here for the past 100 years then and were fairly well-placed. Apart from huge shares in Peepal Gaon they had large shares in Bajaha, Bheeti, and Silna etc villages. By and By this family went into dooms. 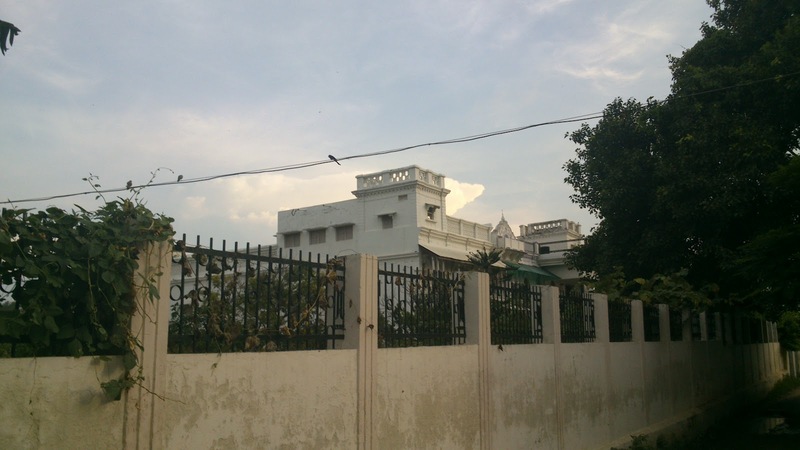 Extravagance, chaotic life style , unruly behavior lead them to such ignominy that today they are now entirely forgotten however a few members of this family are still in Allahabad. Chaudhary Muhammad Shareef was the famous Zamindar of this family in the last century. The Last representative of this family is Chaudhari Mohammad Haneef who had Tufail Ahmad Tuffan and Anwar Ahmad living in Allahabad. 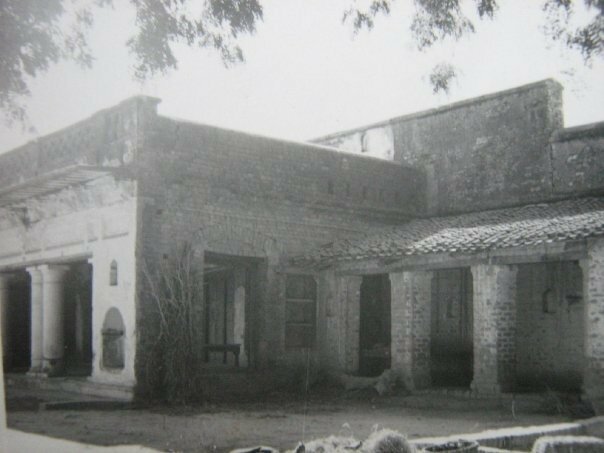 The Second family that came later but gradually became the owner and master of the village was a branch of Hashmi family of Bamhrauli. I shall discuss about this family in detail as follows. A family from the Jafaris of Puraini and another family of Rizwis of Bisauna had two houses each at the beginning of last century. As mentioned earlier ,between 1800-1850 the village was almost entirely owned by the Chaudharis & Hashmis collectively. After 1850 the Hashmi family took a lead and purchased a lot of shares from the Chaudharis superseding them as the major Land-owning family. 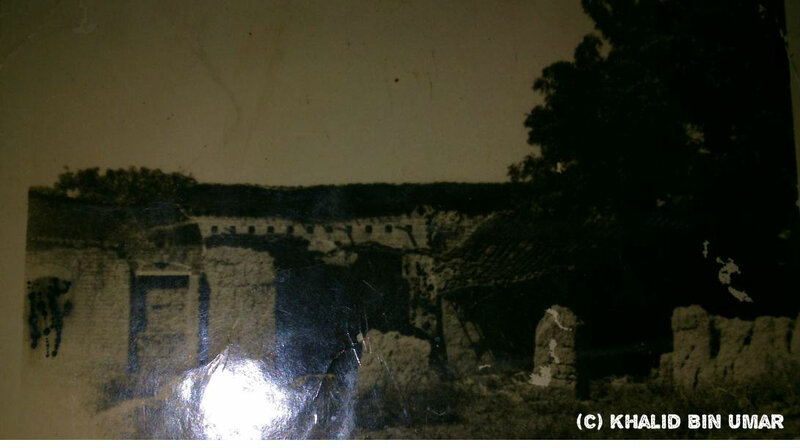 However there came an interesting turn in the history of this village when a person named Dakkhini Deen gradually started gobbling the shares of the Zamindars and miraculously around 1910 he boasted of having owned almost 70% of Peepalgaon. 8 Annas of Zamindari was with him while the remaining 4 Anna share was with the famiy of Janab Nazeer-ud-Din Marhoom and the in remaining 2 Annas was the entire village. Moreover out of these two annas , some anna and pie were mortgaged to Dakkhni Deen. We may say that Peepalgaon in a broader sense had gone into the hands of Dakkhini Deen by the end of 1920. The situation remained as it was till the abolition of Zamindari in 1952. Though the village does not come under Zamindari today yet the majority of lands around PeepalGaon are still with the family of Dakkhini Deen. Followed by the confiscation of lands against mortgage and Dakhkhini Deen asserting more pressure into the erstwhile Zamindars , there erupted a unceasing series of litigation between Dakkhni and the minor shareholders to retrieve their remaining source of sustenance . some of those suits that started in 1880 lasted as late as 1950. Besides, there were a number of untoward skirmishes between Dakkhini Deen and the surviving Zamindars of Peepalgaon. 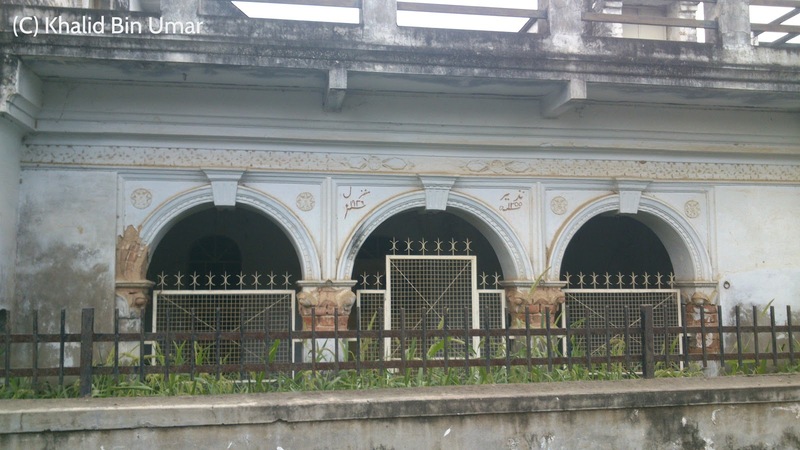 In one of the most unfortunate incident in 1911 , on the day of Juma, the estate manager (the father of Dr. Naeem of Seondha) lost his life while he was trying to pacify and control the mob outside the house of Janab Nazeeruddin.His death aggravated the situation to the last possible point where only the do or die options could be available. 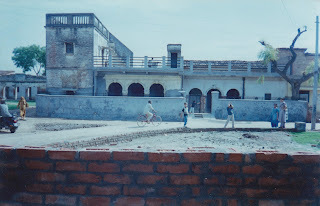 In this scenario, almost all the families of peepalgaon either started shifting their base to Allahabad or they gradually shifted to their maternal or in-laws……save the family of Jb.Nazeer-ud-din. Only the family of Janab Nazeer-ud-Din could manage to hold ground and maintain their property at Peepal Gaon. 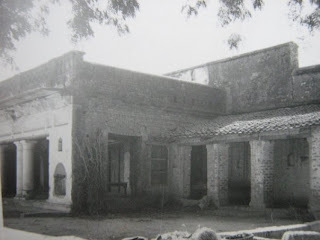 Nazeeruddin Sahib was an enlightened , far-sighed retired soldier who was fortunate enough to have other source of income for he had sharing in some civil contracts in Burma done after the 1st World War and with the help of those proceeds he not only vigorously maintained his Zamindari in PeepalGaon, but he made further purchases in the form of Zamindari of villages Matpur, Mahmoodpur and Sultanpur etc,all these villages are near Manauri. 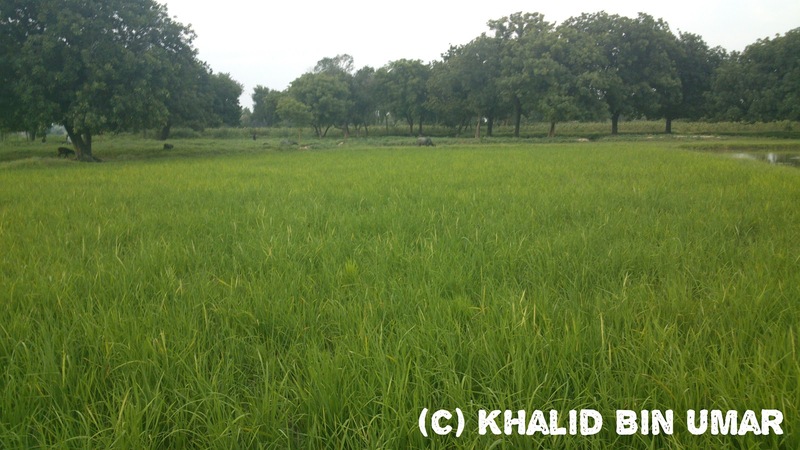 These villages were in the possession of his descendents till the abolition of Zamindari. There is no doubt that he had fairly large zamindari as compared to his kinsmen in the village and in general Pargana Chail. This was the only family that could not be cowed down by Dakkhini Deen and held its head high against all the odds. The most important and illustrious figure of the last century from Peepal Gaon arguably was Dakkhini Deen, a teli by profession. He was born in Nauwapur,a village near Chail Khas around 1870, his father Alopi Din was a traditional Bania. When Dakkhini grew up , he made for himself some ambitious plans. 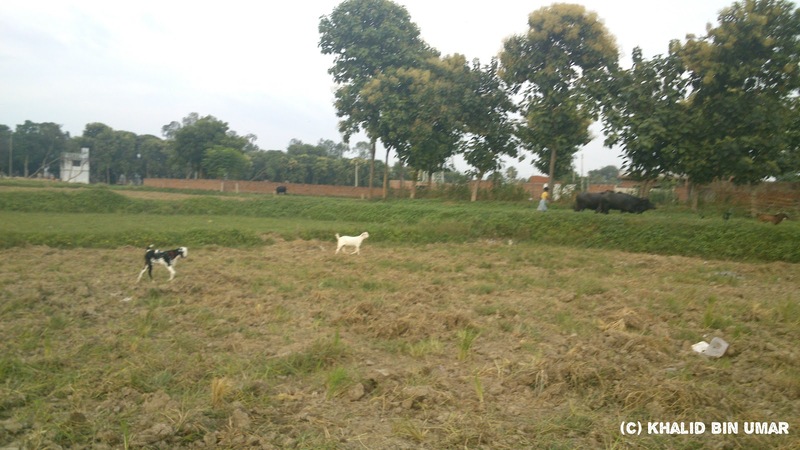 The first plan was to leave the village and he chose Peepal Gaon as he had some relatives in the village. Soon he started two oil pressers here plus one Grit Grinder. Gitti Peesna ( Grindng of Grit/Road Metal ) was a job done by the Oil Pressers those days. Soon he installed some Kolhu(Oil Presser) and worked hard to earn and made an enviable savings. Then he started his lending business , which in turn proved too lucky for him as he would get the property written down to him in lieu of the unpaid loan and thus by and by he took control of Half of the village. When his designs and ambitions became clear and evident , it was already too late and he had virtually taken control of the village. Thereafter began the strife, petty skirmishes and hooliganism that were followed by litigation and soon the zamindars felt that a lot of water has already passed down the bridge and they have lost the battle. Not only in PeepalGaon , Dakkhini Deen then started a flourishing business of purchasing shares of Zamindari throughout Pargana Chail and then disposing them off on a high scale. Within a span of thirty years he was undoubtedly the richest lender and businessman of Tehsil Chail. 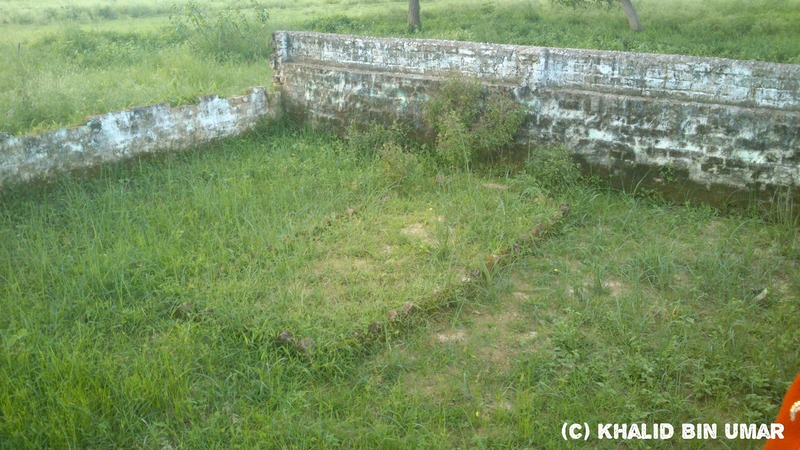 There is hardly a village in Pargana Chail where Dakkhni Deen had no share. Even today I have seen in revenue records in severl villages where an entire Patti or Mohal is named after him. Patti Dakkhni Deen and Mohal Dakkhni Deen are very common to see in Chail Revenue records. Dakkhini Deen was at its peak between the years 1905-1935. This is a fact that he had garnered zamindari shares in 52 villages of Pargana chail and still the records of those villages are with the family unlike most of our Chaili families who claim to have owned 52 villages but virtually they have nothing to substantiate their claim. 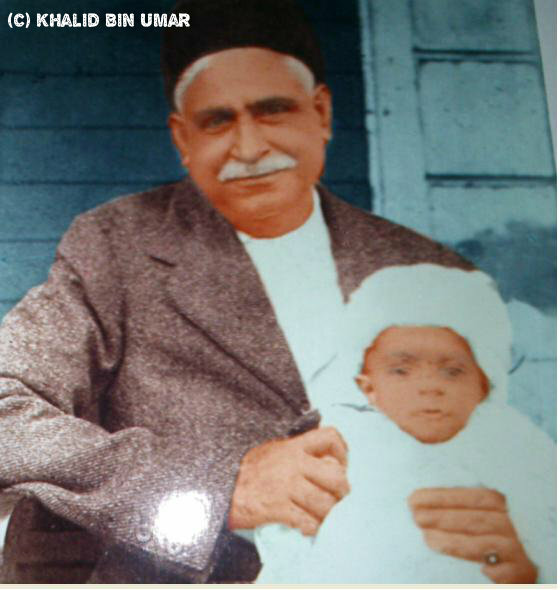 Dakhkhni Deen passed away in 1939 and was survived by three sons. Whle the descendents of the latter two are mostly living abroad. The sons of Sharda Prasad are in Allahabad. Sharda Prasad’s son Rajendar Nath Alias Rajan still lives in the huge Mansion at Peepalgaon. 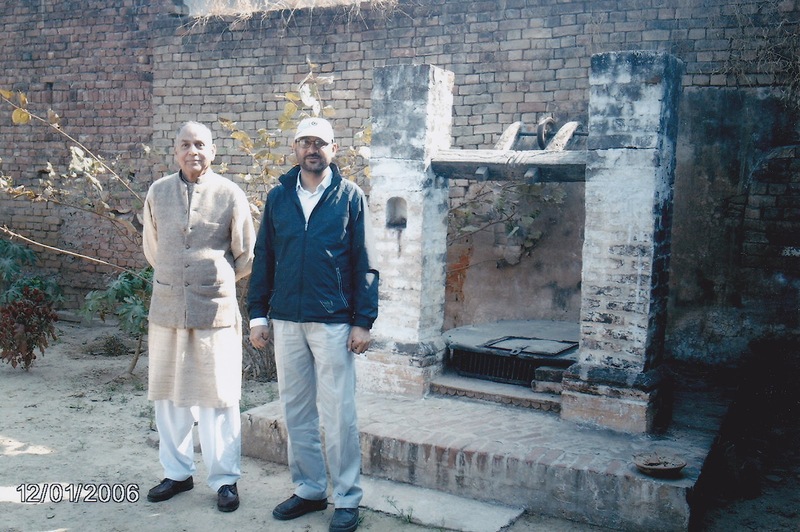 I spoke to the great-grand son of Dakkhini Deen, Mr.Alok Gupta who promised me to provide more details and the old photographs from the old repository in the days to come and I hope to include the details in my proposed book on the history of Pargana Chail. In sha Allaah. While you would appreciate that he was crafty and shrewd in his dealings, what made his plans easy was the carelessness, lassitude and slackness and the typical feudal sloppiness and non-performance of the zamindars of Chail. I would even take a liberty to say that it was the negligence and profligacy of the Zamindars that made him the uncrowned king of the land. Below are some excerpts from Indian Law reports that prove the litigations he was involved in. 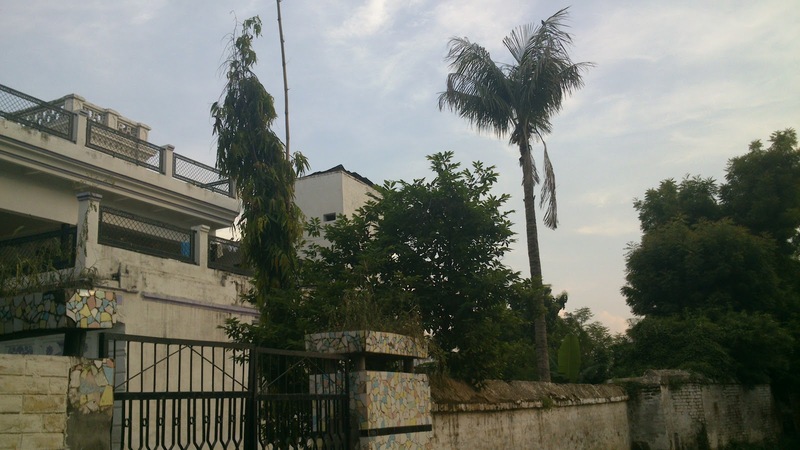 As mentioned earlier , Peepal Gaon was home to a concentrated branch of Hashmi Family of Bamhrauli. They migrated to Peepal Gaon close to the end of 18th Century around 1770-1800.The first person who migrated to Peepal Gaon was Shaikh Muhammad Zaki ,Now look at the shajra above and read one by one the names and you will know about their descendents.Those who are X marked, went without an issue. From Abdul Rab are Faseeh Ahmad ( At Naini) and Rafi Ahmad. From Fariduddin came Hadeeq-un-Nisa, his only child. From Abdul Ghani were two daughters Raffi and Massi. From Makhdoom Bakhsh are Abdul Ahad (No Issue) and Abdul Wahid.Abdul Wahid Had abdul Qayyum and Abdul Hayy. 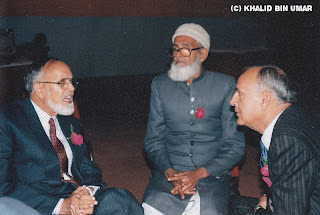 Abdul Qayyum had Abdul Ghaffar while Abdul Hayy had Nur ul Hasan and Anwar-ul-Haq. Now Nur ul Hasan had Sadiq-un-Nisa and Khaleeq-un-Nisa and Anwar ul Haq had Mazhar-ul-Haq (Pakistan) , Dunna Bibi ( Narvar ) and Nafeesa Bibi ( Mahgaon ). From Ilaahi Bakhsh are Mohammad Raza and Shaikh Muhammad.. Mohammad Raza had Ehsan ul Haq and Mahmood ul Haq (No Issue). 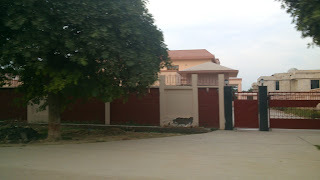 Ehsan ul Haq had two daughters Mehr-un-nisa (pak) and Zaib-un-nisa (Lucknow). From Shaikh Muhammad came Wazeer Ahmad who had Wasi Ahmad (Advocate ) Wasi Ahmad had Razi Ahmad ( Nae Sahab) at Nakhas Kohna, Allahabad. From Khuda Bakhsh came Muiz-ud-din who had Sharfuddin and Qamar-ud-din. 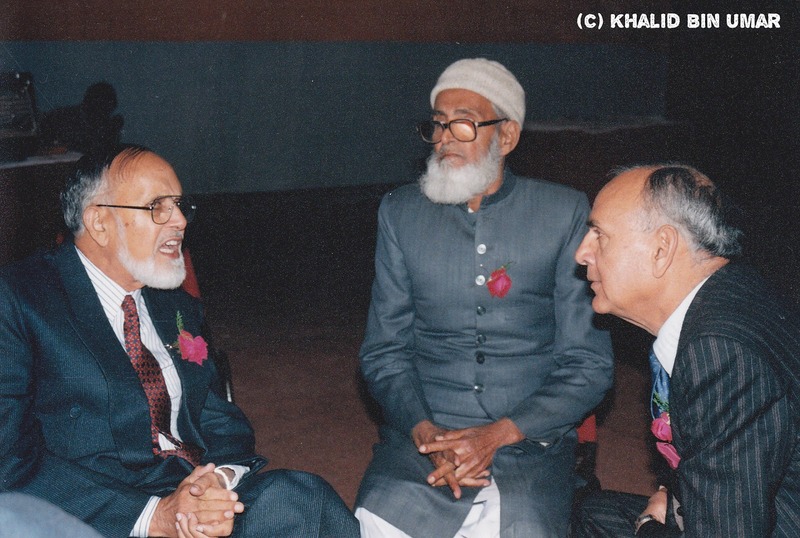 Qamaruddin had Waheed-ud-din Urf Achhey Bhai at Allahabad and Ahmad Javed. While Sharfuddin had Zameeruddin who have Khalid Zameer ( Sharjah ) and two daughters. Janab Rafiuddin had Salahuddin who had Jb.Muhi-ud-din in Pakistan. Burhan-ud-Din had Haseenuddin and he had Rasheeduddin and Azeezuddin. Then Rasheed-ud-Din has Mohammad Ali Rashid in UK. Taqi Miyan Marhoom with his brothers ! 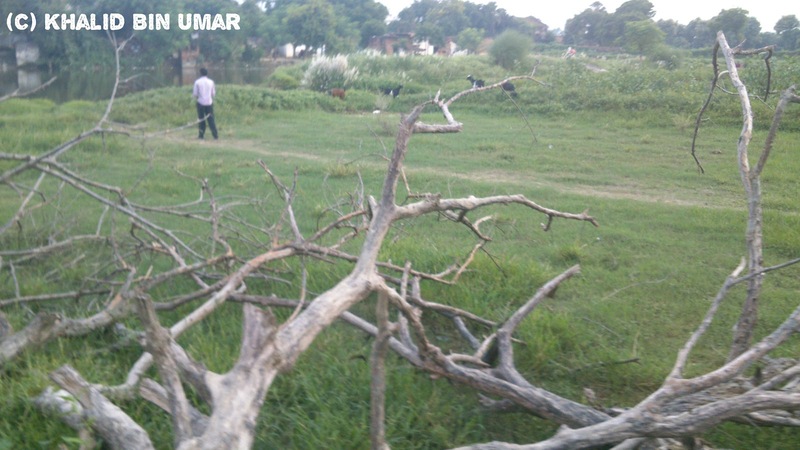 From Karimuddin came Nazeer-ud-din and Mohammad Yusuf. Then Nazeer-ud-din had Mohammad Isa (Died Young), Mohammad Moosa Hashmi (Taqi Miyan), Akhlaq Ahmad Hashmi and Nooruddin Hashmi in USA along with 4 daughters. Mohammad Yusuf S/o Karimuddin had only two daughters Sabirah & Abidah Bibi. 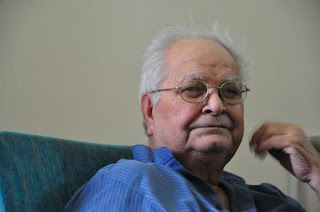 Nooruddin Hashmi superannuated as Dy.Chief Enigineer of Pakistan Shipyard and now lives in USA with his children Shahid Javed Hashmi ,Tariq,Sajid, Asim and Arif Hashmi. Akhlaq Ahmad Hashmi was employed with the foreign services and now lives in USA with his children Javed, Asif & Naseem Hashmi. 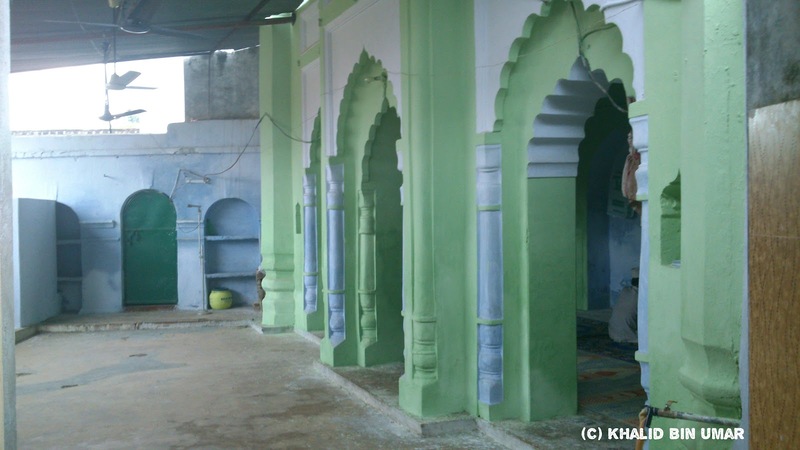 From Nizamuddin s/o Mohammad Shafi came – Fazal-ud-din who had Nihal-ud-din and Shafi-ud-din………This Shafi-ud-din Urf Naib Ji migrated to Mahgaon in his in-laws. From Ghayas-ud-Din came Saeed-udin who had shafiuddin. From Ikram uddin came Munir-ud-din who had Zafar-ud-din. 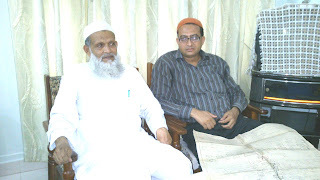 Deputy Ehsan-ul-Haq of Peepalgaon was Deputy Director of Education posted at Burma. Janab Nazeer-ud-din was a immensely popular Zamindar of Peepalgaon known throughout the Pargana Chail.He was initially employed with the Army andretired after the first world-war and thereafter engrossed himself in looking after his Zamindari. During the world war he had travelled immensely in Europe and Africa and gained a lot of first hand information about the difference of lives and importance of education. He was a well read person and his stress on modern education was a direct result of his insight gained through his travels. He was fairly large zamindar as he owned three or four entire village alongwith one fourth of PeepalGaon yet he was a genial and God-fearing person.Apart from his large clan he did took care of the entire village in the time of need. He passed away in 1945 at the ripe age of 89. Janab Anwar-ul-Haq was an officer in the Postal department based at Burma.His son Mazhar ul Haq rose on to become a Squadron Leader in the Air force. 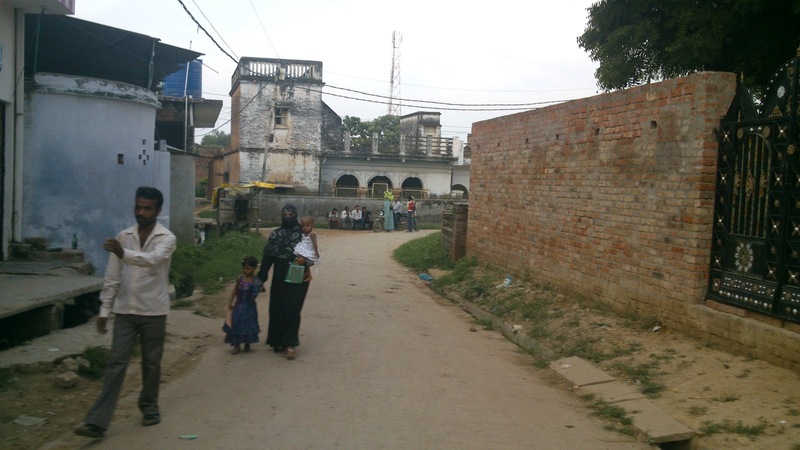 Faseeh Ahmad was employed with the Jail Police and his family still lives in Naini. Wasi Ahmad at Nakhas Kohna was a succesful and famed lawyer. 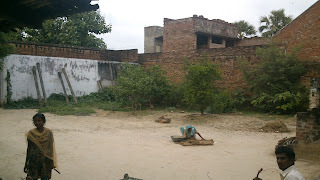 As mentioned earlier after the emergence of Dakhkhini Deen as the major land-owner, few members of Hashmi family lost almost everything there in village. If one had no farming land in village then the survival was extremely difficult in those days 100 years ago. Thus when a family lost almost land in the village to Dakhkhini Deen and it was agonizing for them to find that the villagers and their Praja have or would have disowned them. They looked for other options. A family migrated to Basedhi and another to Mahgaon. 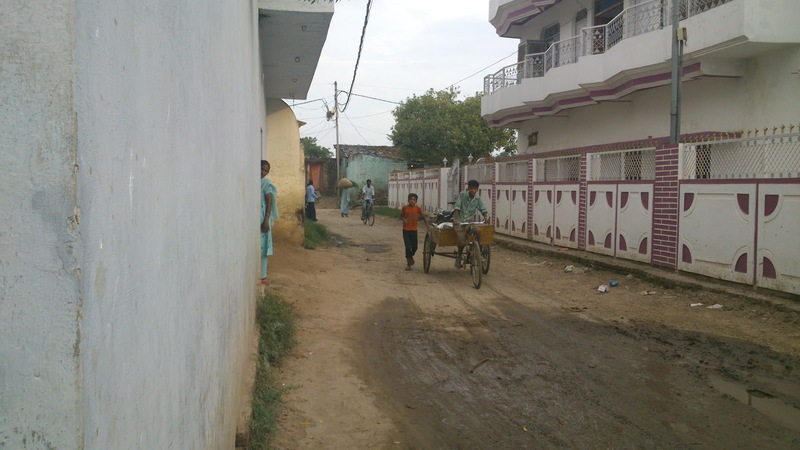 One more family had migrated earlier to Neem Sarai but that was on account of personal reasons. Hence the sons of Imam-ud-din , Mohammad Zaki, Ameen and Shafi migrated to their Nanihal at Basedhi. There they purchased some lands and merging it with the maternal share , they got off to a new start. Mohammad Zaki had Bahauddin ,Qubool-ud-Din and Rahimuddin. Baha-ud-Din had Masood-ul-Haq and two daughters Ishrat-un-Nisa(Kashia) and other at (Pawan) - Then Now Masood-ul-Haq had Mansoor-ul-Haq who have Shariq , Saqib , Tariq.___While Qubool-ud-Din had Mukhtar Ahmad (Raja Miyan) at Husainpur and Chhote Miyan., Mohd Zahid , Ahmad Mukhtar----Now Rahimuddin had Shameem Ahmad , Shoaib Ahmad Soney (At Malaak-Mahgaon )and Shamshad Ahmad Ladey. Mohammad Amin had Mohammad Mubeen, Mateen and Haseen. Mohammad Mubeen had Muhammad Raees (Pakistan) and Muhammad Mueen (Kallu Ziledar),while Muhammad Mateen had three daughters. Mohammad Haseen had Dularey (Bade Gaon) and Mohammad Rashid. Mohammad Maseeh had Mohammad Umar, Muhammad Qamar and Mohammad Usman.= Now Mohammad Qamar had no issue while Umar had daughters only and Mohammad Usman had Rasool Ahmad,Afsaar Ahmad, Akhatrun and Maryam Bibi. Shafi Ud Din Naib Ji S/o Fazal-ud-Din of Peepal Gaon got married to Ruwab-un-Nisa D/o Kamal-ud-Din in Dakkhin Thok Mahgaon and on this share he decided to settle in his in-laws. From Shafi-ud-din came Sami-ud-din Darogha, Azeez-ud-Din ( Ajjan Miyan at Bahraich), Haseeb-ud-din, Sagheeruddin and Iqbal-ud-Din(X).…..Jb.Samiuddin had Zain-ud-Din, Nizam-ud-din (Dularey in London) and Misbah-ud-din(Anas) and.Now Zain-ud-din have Asad, Nasir, Farrukh, Asim and Qasim Zain. Misbahuddin have Waris Misbah. Nizamuddin Urf Dularey (now Marhoom) in London has 3 daughters. 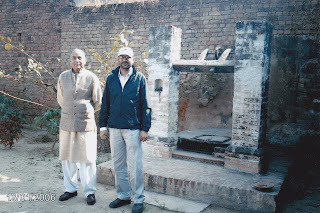 Azeez-ud-Din s/o Shafi-ud-din settled at bahraich and he had Ahmad, Anwar, Sarwar, Ishrat and Nusrat Aziz. Haseeb-uddin s/o Shafiuddin has Aish-ud-din. Azeezuddin Sahib has made a good fortune in transport business in Bahraich and is quite well known there. Shaikh Ehtishamuddin of Peepalgaon had no son with the problem that he had fathered few children but none could survive in Peepalgaon. Discomfited and disappointed too much, he was advised to leave the place if he wants his progeny to survive. He gave this piece of advice a serious thought and consulted with his sister who was married in Neem Sarai. The next step he took was that he disposed his property in Peepal Gaon and purchased lands in Neem Sarai, constructed a house and settled permanently there. This was in the year 1885. Barkat un Nisa , wife of Ehtishamuddin built at Mosque as well in Neem Sarai on the road that goes to Begum Sarai. Surprisingly at the fag end of the life, he was bestowed with two sons. Qubool-ud-Din Urf Bachchoo Miyan and Iqbal Ud Din. 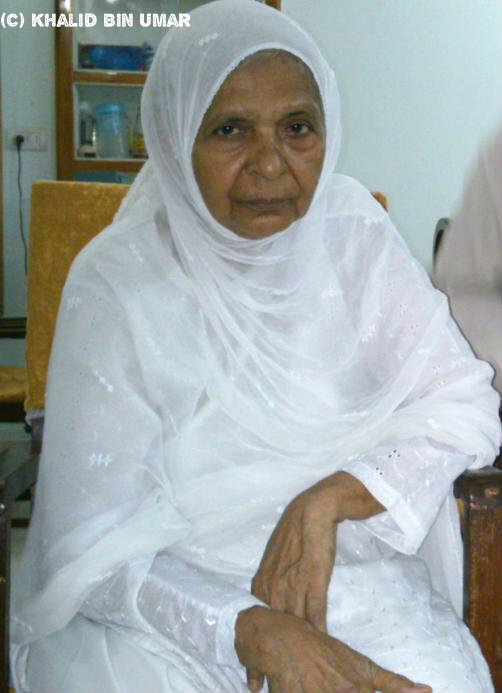 This Bachchoo Miyan came out to be a Haafiz-i-Quraan and was a very popular social figure of Neem Sarai. His name appears in Mirat-i-Jalali as well.He passed away in 1958. These two brothers are the originator of the Hashmis of Neem Sarai. As told, Ehtishamuddin had Qubool-ud-Din and Iqbal Ud-din. Now Hafiz Qubool-ud-Din Urf Bachchoo Miyan at Neem Sarai fathered Shafeeq-un-Nisa (PeepalGaon ), Mohammad Akram ,Mohammad Azam, Mohammad Muazaam, Aslam , Akhtar un Nisa (Godam) and Afsar un Nisa (Basedhi).Iqbal Uddin had only one daughter Ahmadi Bibi (pak). 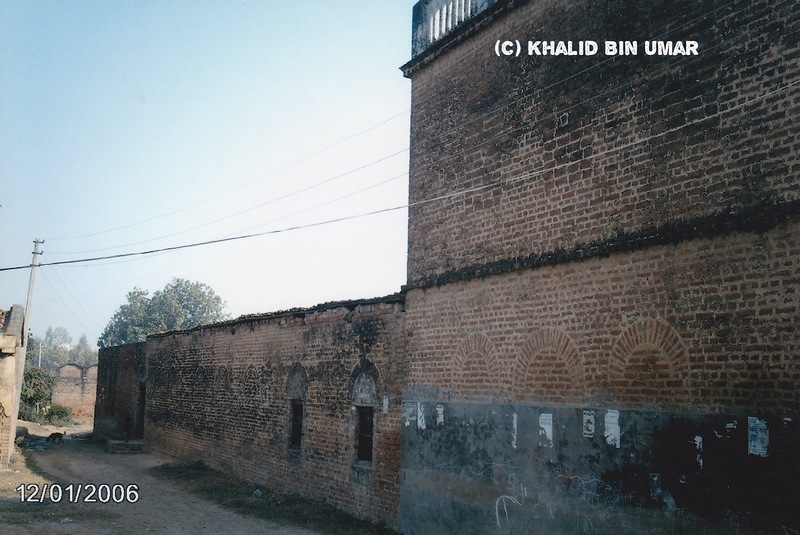 Of all the sons of QuboolUddin Sahib, only Mohammad Akram stayed in India who is still in possession of his ancestral house and lands in Neem Sarai. 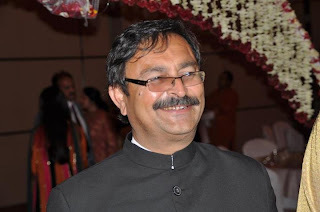 He superannuated as the Director, Ministry of Industries, Govt of India. 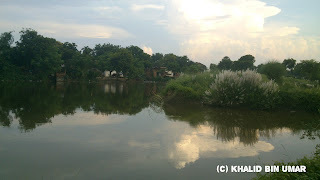 Today he shuttles and divides his time between Neem Sarai and his Delhi accommodation. His son Suez Akram Alias Jadoo is well known in the Tourism Sector as a Tour Guide based at New Delhi. He has ventured into hospitality segment also by developing a small eco-friendly “Tented resort” adjoining Tadoba National Park, Distt. Chadrapur, Maharashtra, for wild-lifers and serious nature lovers known as “SERAI TIGER. 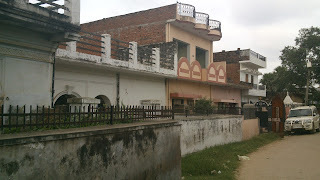 The village Nizampur Puraini had an old association with the village Peepalgaon. In 1770, a family of Mahgaon that had already settled in Puraini had to migrate to Peepalgaon to take care of the inherited property from their maternals. 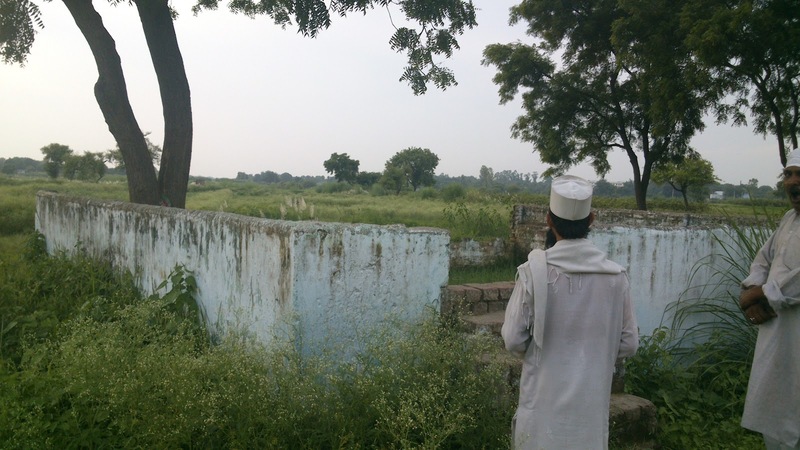 Two brothers Faseeh-uz-Zaman Urf Ghissu Miyan and Ameer Zaman inherited the entire property of their Nana at Peepalgaon and to look after the same they had to move to Peepalgaon. As per the records the elder brother Faseeh uz Zaman shifted to peepalgaon around 1770. His sons continued to live in Peepalgaon till 1856 when after the death of a cousin , Muhammad Sadiq of Puraini famly went back to his paternal place at Puraini and thereafter in 1900 his nephew Muhammad Ashiq too left the village winding up the residence of Puraini family from Peepalgaon. In today’s perspective ,this line of Muhammad Ashiq and Sadiq is represented by the family of Janab Lutfur Rahman Jafri Marhoom and his clan settled in Puraini. 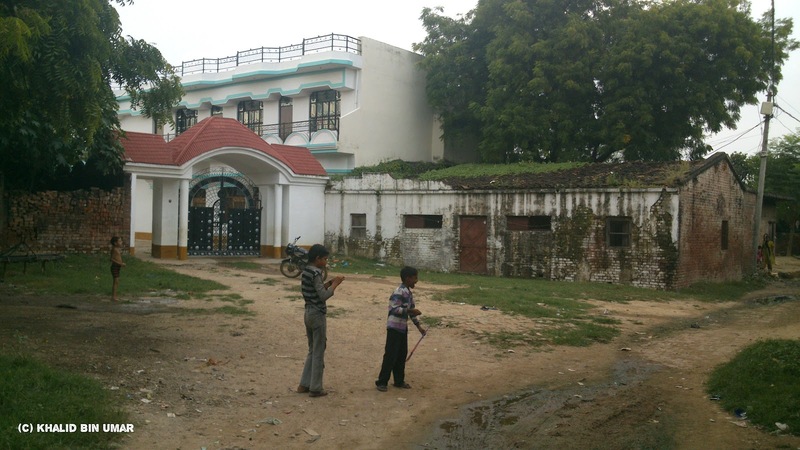 This family is originally from Manjh KalaN of Mahgaon but had shifted to Puraini in 1760. They lived in Peepalgaon from 1770 to 1900 with one branch or another and then finally went back to Puraini. A family from Bisauna migrated to PeepalGaon when they got some property from the Chaudharis of Peepalgaon.Mir Akbar Ali of Bisauna was married into the Chaudharis of Peepalgaon , he and his sons migrated to PeepalGaon in the last decade of 19th century around 1885-1890.From PeepalGaon a family of Meer Ansar migrated to his in-laws at Alamchand while other Meer Zawar Husain migrated to Manauri. As discussed earlier, it was Allaah’s grace that the family of Jb.Nazeer-ud-Din upheld the dignity of the zamindars of Peepalgaon. It was the only family that wielded considerable authority in the village. Neither did they leave the village nor did they sell their share. Rather they consolidated their position by purchasing shares in different other villages. Janab Mohammad Moosa Hashmi Alias Taqi Miyan of Peepalgaon was the son of Jb. Nazeeruddin who is known throughout the Pargana of Chail and wherever one talks of Peepalgaon today, one person is always in the background definitely and that is Taqi Miyan Marhoom. Today his name and village are considered to be synonymous. 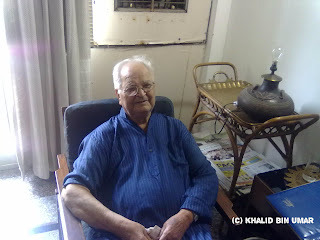 Born in 1918 ,Taqi Miyan was initially employed with the then GIPR (Indian Railways) stationed at Far-east at Asansol when the riots broke out in the event of partition of the country. He returned to his hometown and thereafter he did not leave the city till his last breath. His house built by his father still stands in the middle of the village looking(Or Over-looking) at all the passers-by while all the passers-by look at the house as the last remnant and Yaadgar of Hashmis of Peepalgaon, the fact is this house named “Nazeer Manzil”(built in 1936) and a mosque in front of the house is all that reminds us of the erstwhile Hashmi Zamindars of Peepalgaon. The exodus of Zamindars from Peepal Gaon started during 1910-1930 when they found it stifling to survive when they saw Dakkhnini Deen penetrating in the village surreptitiously. This started when two families left for Basedhi, thereafter another shifted to Mahgaon and during the 30s and 40s , the educated and employed ones made their houses in the city of Allahabad. They kept visiting their village off and on but when the older generation passed away , their sons & Grand-sons could not keep the ties as it should have been owing to the heterogeneous conditions , lack of relatives and like minded families in the neighborhood, migration of crowd form other villages with different cultural and social set up. There was left the house of Taqi Miyan and three families more but unfortunately when I visited peepalGaon in Sep 2012, only the house of Taqi Miyan is standing whereas the others have disposed their lands completely. The day is not far when Peepalgaon will be a full fledged urban locality with no sign of their erstwhile owner and masters of the place. Rahe Naam Allaah ka ! Mention should be made here of another family that has maintained its accommodation in Peepalgaon. This is the house of Meer Hidayat Husain and family who originally belong to Bisauna and have maintained their house to this day. When I visited Peepal Gaon earlier this month , it was hardly looking like a village although in the back drop one could very easily surmise that the fields and farms are beckoning you. Yet peepalgaon has transformed a lot. 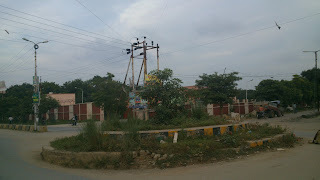 It is now a part of urban Allahabad and will change its face once again within a few years. With the city rapidly developing into a metro, it is expanding beyond its original boundary and residential areas are sprouting along its fringes. However, the expansion of the city is coming at the cost of greenery. I could notice the concrete jungle that has come up inside the village making the map of village quite difficult to figure out but three landmarks are proudly standing guiding the new-comers like me. The Nazeer Manzil, The Mosque and the large housing complex of Dakkhini Deen ( Kothi ). These three have not changed but the surroundings have transformed. As famed ,I could not find even few Peepal Trees inside the village rather I noticed a number of Palm Trees in and outside the village. These Tar trees are conspicuous from very far. Interestingly my colleague informed me that in the recent past people as far as from Allahabad used to come to Peepal Gaon to have Palm Toddy in the early morning. 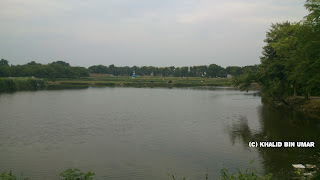 It was amusing to learn that PeepalGaon had been famous for Toddy drink as well and that Palm and toddy drink of peepalgaon were quite popular in Allahabad. 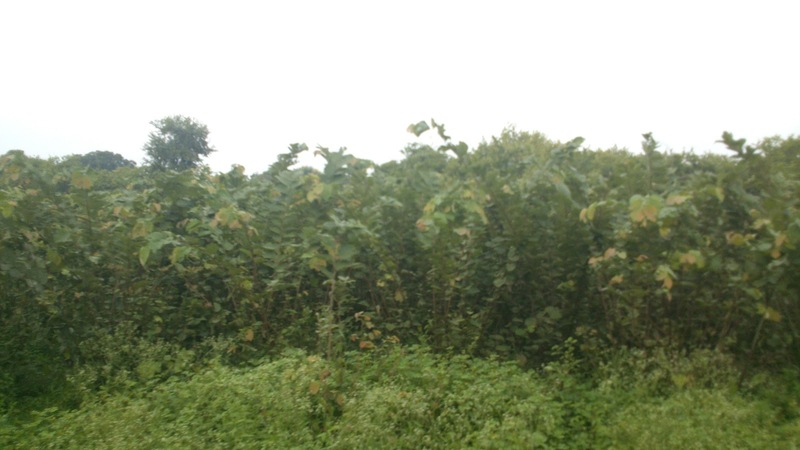 If I go back into history there was a village named Peepal Gaon full of Peepal Trees with 15-20 concentrated houses where lived the Zamindars of the village. They ruled the village and its environs. Several villages were under their sway. Then there came a turn. An ambitious Dakkhni Deen sneaked into the village and gradually won the hearts of Zamindars ,started lending money and then came the fall, one by one he started taking over the shares and the losers began to leave the village. One after another houses started getting desolate. Only the strong ones sustained. Thereafter came the partition of the country and few more people left and finally the last jolt in the form of Zamindari Abolition broke the back. Everyone had to look out for other means of living ………and today there is no Dakkhini Deen who famously said that I will spread and fill the road from Peepalgaon to Allahabad with silver and gold coins but none of my men should get convicted ……… and there are no Zamindar who in the past stayed back and fought with the hard times valiantly………. Are we ready to learn a lesson from these instances………Are our eyes and mind open to pick up some clues from these stories……….Perhaps not ………!!! 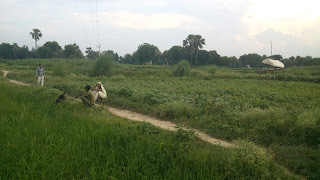 It was humid and sultry and when I was about to return the sun-set was near but I saw some women still working in the fields weeding and clearing the grass and there were no men around and I was reminded of an old English saying “ A man's work is from sun to sun but a woman's work is never done”. I appreciated their hard work and went further to reach the Qabr of Maulvi Siddiq Ahmad Sahib (Rahmatullahi Alaihi). Now something about Maulvi Sahib. Maulvi Siddiq Sahib’s real name was Mukhtar Ahmad and originally he belonged to Behka. His Nanihal was in Saiyid Sarawan and his nana Maulvi Bakhshish Ali was a great Aalim and was amongst the swaliheen of his time.His nana had no son hence he adopted his daughter’s son (Siddiq Sahib) and asked him to stay in Saiyid Sarawan. He took great care in his education and training. Upon attaining majority Maulvi Siddiq Sahib went to Ganj Muradabad and learned Islamic sciences along with Hadees and even took Baiy’at at the Hands of Maulvi Abdul Kareem Ganj Muradabadi and became a mystic. In the later years he got so much engrossed in the love and manifestations of Allaah Swt that he became heedless of the murky worldly affairs. One day he was roaming around Umri and Bamhrauli in the scorching month of summers when he caught severe sun-stroke. He somehow managed to reach Peepal Gaon which was his Susral and lay down unconscious in a field after writing his name on the ground with a stick. 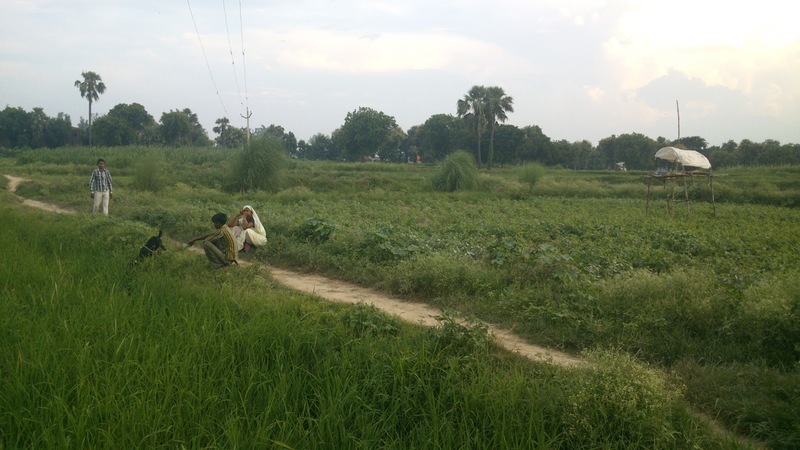 The villagers noticed a man lying in under the sun with a name written in Urdu by his side. They called the zamindars and soon it was noticed that it was Maulvi Siddiq Sahib who had passed away by then. 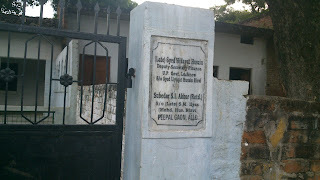 He was laid down to rest in Peepal Goan and his grave is marked by an enclosure to the west of Peepal Gaon. 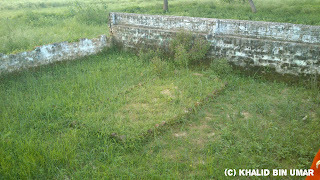 It is reported by several reliable persons that after he was shrouded and took out for Namaz-i-Janazah , suddenly a low cloud surfaced up and that provided a much needed shade to the crowd and then it rained a bit and remained there on the sky until Maulvi Siddiq was laid to rest and his Qabr was properly laid out......... He was considered among the Swaliheen of his time. 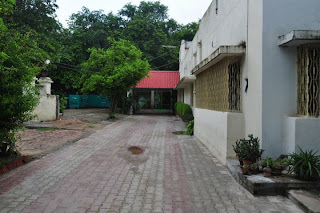 In 1999 in the neighbourhood of Peepalgaon , The Indian Institute of Information Technology Allahabad (IIIT-A) was established by the Govt of India.The beautiful 100 acre campus, situated at Deoghat, Jhalwa, designed meticulously on the Penrose Geometry pattern, is a fully residential one, with all its faculty, staff and students housed in different pockets. It’s been constantly ranked among the Top 10 Engineering Institutes of India. The most important fact to be considered is that IIIT-A is the youngest institute to be included in India Today's top 10 ranking. It was established just 13 years ago in 1999. It is a matter of fact that IIIT-A has one of the best placements in India as many of the leading companies of the world visit the campus for placements. Many years ago as a teenager while I was visiting Allahabad during summers , I had a chance to see Taqi Miyan, the last figurehead of Peepal Gaon, we both were in the mosque to offer Zuhr.I came to know that Taqi Miyan was also there .After the Namaz I approached him briskly and after exchanging salam, I asked him about the history of his village and the elders (Oh Yes ! even then I was crazy enough to get into the history of villages)……. We chatted for a few minutes standing on the road, he told me a few things and a few names and before departing he said "Sab chale gaye ab koi nahin hai , Assalamu’Alaikum and then walked off to his home.I remember that I stood there in silence and saw the tall man walking slowly away from me and soon he disappeared from my view.Today while standing outside Nazeer Manzil , I was reminded of him and I know that he is no more now……….and a day will come when everything and everyone will be no more.......How delusive and shoddy the life is ? I asked myself ..Where these people have gone ? Could we ever see them again. Kisey Kis ne Kaise Ganwa Diya ? Have we taken a heed from the examples of human settlement and dislocations? Or we just read it like a story or fiction? Has not the time come when we realize what is more important to us and what is best to be avoided? When the time would come where we turn our faces and hearts towards the creator and not the creatures! usko dhoondhen to vo miley bhi kahan ! rooth le, phir ye silsile bhi kahan ! Subah Dam, ye qaafile bhi kahan ! Bohat bada kaaam kiya hai aapne khalid miyan ! Murdon ko zinda karna hai ! Aap Mindara ke bare mein bhi likhiye ! Thank you for covering our ancestral village's history so extensively. May Allah SWT bless you in both the worlds. great research... I misunderstood Dakhini Deen as a Muslim name, however this article has cleared the ambiguity...In Punjab Muslims of Punjab saved their land from the tentacles of money lenders through the enactment of Punjab Land Revenue Act of 1935, and money lenders mostly Hindu and Sikh were barred to get confiscation of land in lieu of their loan....where as in Sindh it was not so though Muslims were in majority of sindh Assembly no enactment was made for securing land of Muslim zamindars from money lender class mostly hindus, it is said if Pakistan were created 10 years latter in 1957 than the origional 1947 the entire land of Sindh would have been passed to those money lenders in lieu of their loans. Pakistan was a boon to Sindhi Muslim Zamindars indeed. It was really nice and I enjoyed reading your article so thoughtfully presented in fact I was sitting with Mr Jeetendra Gupta one of the great grandson of Late Dakhini Din of Peepal gaon who has changed the picture and lifestyle of his forefathers now Mr Jeetendra Gupta's eldest daughter is a student of LLM from Kolkatta another daughter is a student of MBBS and son is also a student of LAW from Lucknow if ever you visit Allahabad do fix with me so that your article may get some more important events and old pictures. Haroon Sahib - How to contact you as there is no e-mail ID, telephone nos in your message ? Great Work Khalid Bhai !!! I was alwez proud of my Nanihal And this article makes me more proud. Thanks and May Allah bless you with best of both worlds. We always crossed Peepal Gaon to reach out to Kathaula but new knew that that history of Peepal Gaon holds so much for our enlightenment.